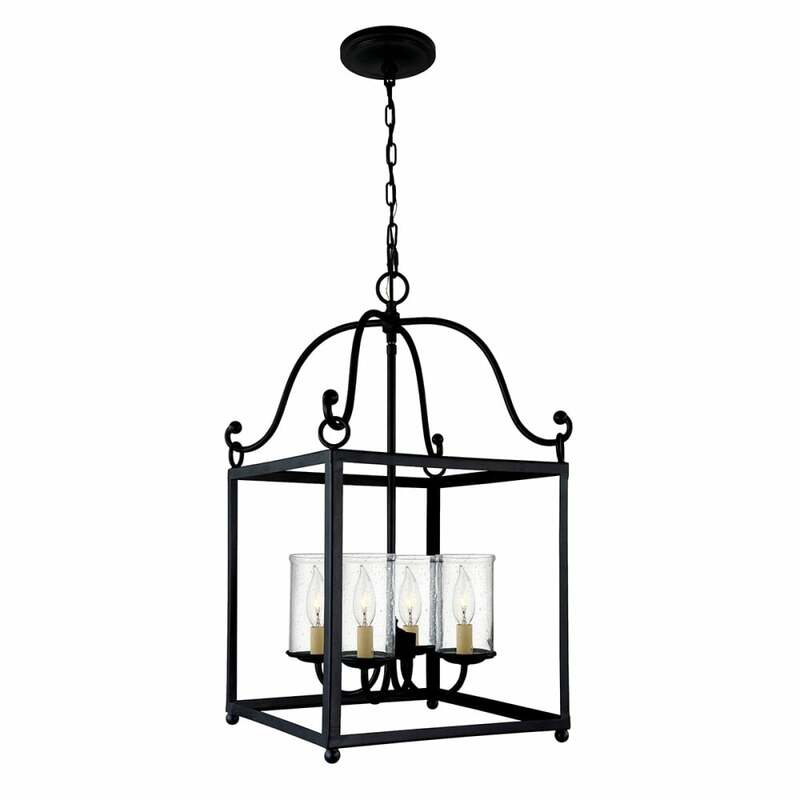 A traditional open frame four light ceiling pendant lantern in an antique iron finish complete with clear seeded glass shades. The light is suspended on a chain suspension which can be shortened at the point of installation for use in rooms with lower ceilings, this would be great for lighting over tables or in long drop stairwells of a period setting. It is also suitable for use on a dimmer switch providing the bulbs used are also dimmable. Cable / Chain Length (cm): Supplied with 1829mm of chain.